Lucid dreaming and astral projection are often confused as the same thing, when in fact they are entirely different experiences. The main difference is that lucid dreaming occurs in a dream, whereas astral projection occurs in a damson outside of the physical world. The second key difference is that lucid dreaming isn't real. Lucid dreaming is simply the state of being aware within a dream, whereas astral projection is a real experience of consciousness in another realm. Astral projection happens on the astral plane. The consciousness separates from the physical body and travels to the astral plane in the astral body. This is not an easy thing to achieve, which is why many practitioners use binaural beats recordings to assist projection. Lucid dreaming is something that most people experience at one time or another, and something many people experience regularly. It's that feeling of being completely aware of in your dream, with the ability to control everything that happens. In essence you are creating your own reality. In contrast, the astral plane already exists; you are just a visitor, and therefore cannot manipulate or change the behaviour of the environment or the beings within it. Many people believe that the astral projection experience simulates the death experience, where a person's soul leaves the physical body for a higher dimension. Those who practice astral projection often report looking down on their body, as many do during near death experiences (NDEs) during surgery or trauma. When you lucid dream you are asleep. The experience is not real. You can choose where your dream begins, where it ends and who accompanies you wherever you go. Your consciousness remains merged with your physical body, as it would in a normal dream and in everyday life. You can manipulate the environment to appear as you choose. To astral project you cannot be asleep. The point of projection comes just before the physical body falls asleep. You must retain consciousness. For this reason the experience is real. You can't choose where you start or finish your astral projection. Your experience begins and ends wherever you began. Your body remains in the same place while your consciousness leaves your physical body and travels on the astral plane. You cannot control the beings on the astral place, but, like in the physical world, you can manipulate conversations and interactions to a degree. You can't, however, change the environment to what you want to see. This realm exists whether you're visiting or not. When you have finished projecting your consciousness merges back with your physical body. Understanding the difference between astral projection and lucid dreaming will help you cultivate the desired experience, both of which are very exciting. When astral projecting you separate your consciousness from your physical assets, and you will instantly know that you are NOT dreaming because you will sense that you are fully conscious. When lucid dreaming you will know you are not astral projecting because you will be in complete control of your environment; the characters; trees, sky, animals, etc. At Ennora we offer both a lucid dreaming meditation and an astral projection meditation to help you cultivate the correct mind state for lucid dreaming and astral travel. 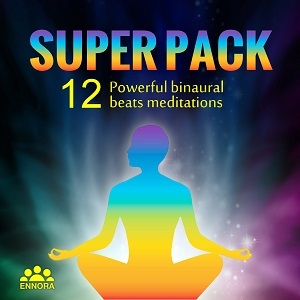 Each meditation is 30 minutes long and engineered with binaural beats technology for optimum success. Enjoyed reading this? Then please hit one of the buttons below & share the knowledge! Can Pineal Gland Activation Open Your Third Eye & Lead You to Spiritual Dimensions? What is Numerology & Can it Predict Your Future?